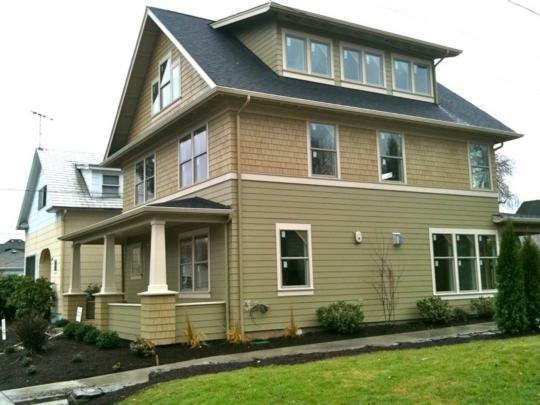 Impeccable new construction of a Classic Portland Craftsman. 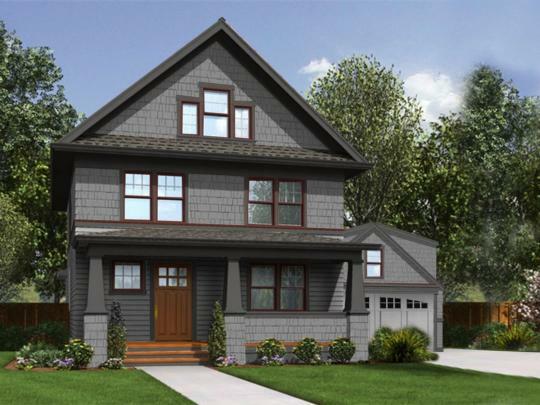 Situated on a 5,000 square foot lot amongst the charm in one of Portland's historical neighborhoods. 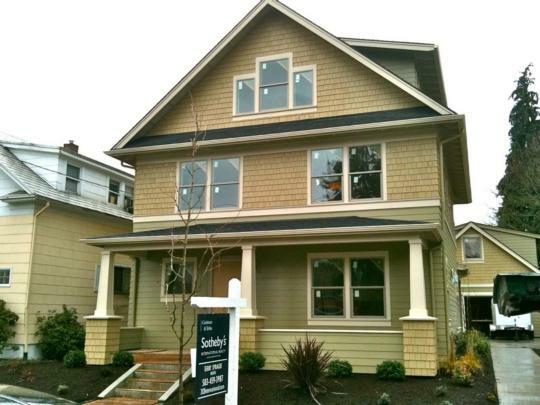 Located within walking distance of all the convenient amenities in sought after Sellwood. 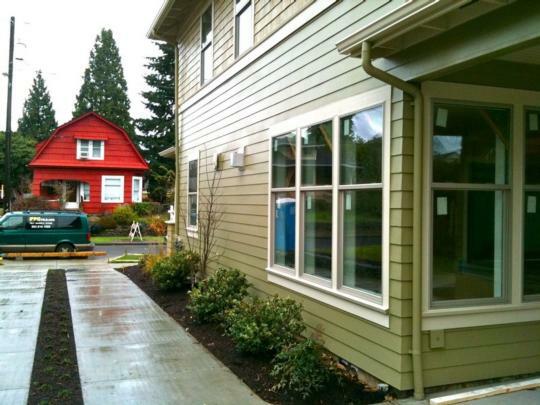 Relax on the front covered porch and visit with friends and neighbors passing by. Take in the workmanship of period finishes from spacious entry, main level hardwood floors, granite, built-ins and hardwood staircase. Main level den with built-in desk could also be used as 4th bedroom. Half bath and under stair storage located just off foyer. Open floor plan for living/kitchen/dining areas. Living area features gas fireplace and entertainment nook with built-ins. Kitchen boasts of stailenss steel upgraded appliances, honed granite countertops, farm style cabinetry and sink, plus island with eat-bar. Dining are with access to covered patio, plus covenient laundry/mud room with separate back access. Second level with spacious Master bedroom suite and private bath, two guest rooms, and full guest bath. Rise to the third level for a 555 square foot bonus room, for play, storage, or studio, a plus for any family! Motor on up the old style driveway of cement driving paths and a center stip of vegetation to a detached one car oversized garage. Reduce your house payments by utilizing the studio aparment located above the garage. 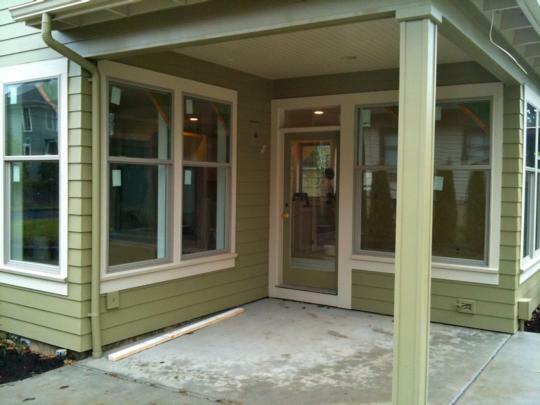 330 square feet includes kitchen with peninsula, full bath, cooktop, and refrigerator. 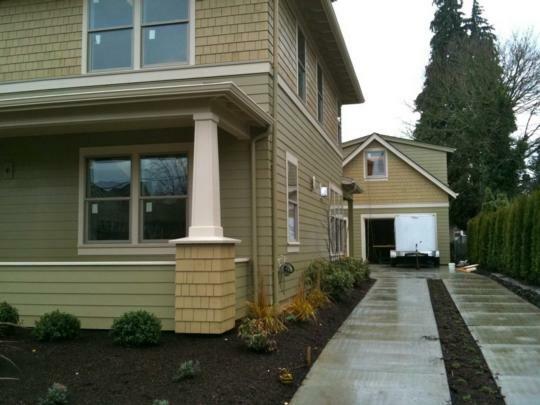 4 bedrooms and 3 1/2 bathrooms is counted from studio apartment above Garage. Total Square footage includes 330 sq ft from Studio apt.